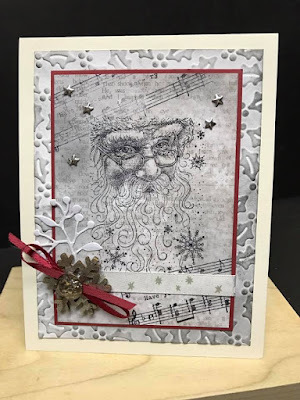 I've been looking for inspiration for a quick Christmas Card and one night I was browsing through Card-Making USA on Facebook and I spotted a card made by Sue Lesar Robinson. Her card reminded me that I have that Santa Stamp and I got to work making this card. Since Christmas is right around the corner, I wanted a card that could be made in duplicate, and one that would be pretty, but not break the bank when posting them. 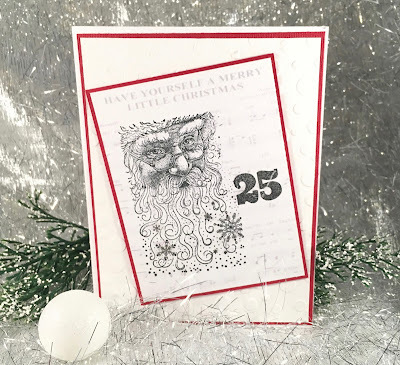 The printed background I downloaded from the internet, Santa and the 25 are rubber stamps. 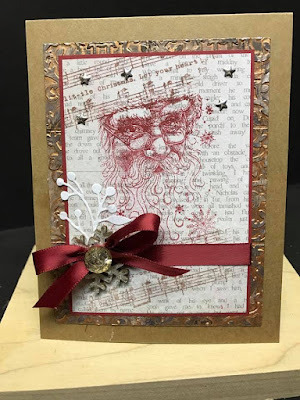 I layered this to a red frame and mounted it on a piece I'd embossed. 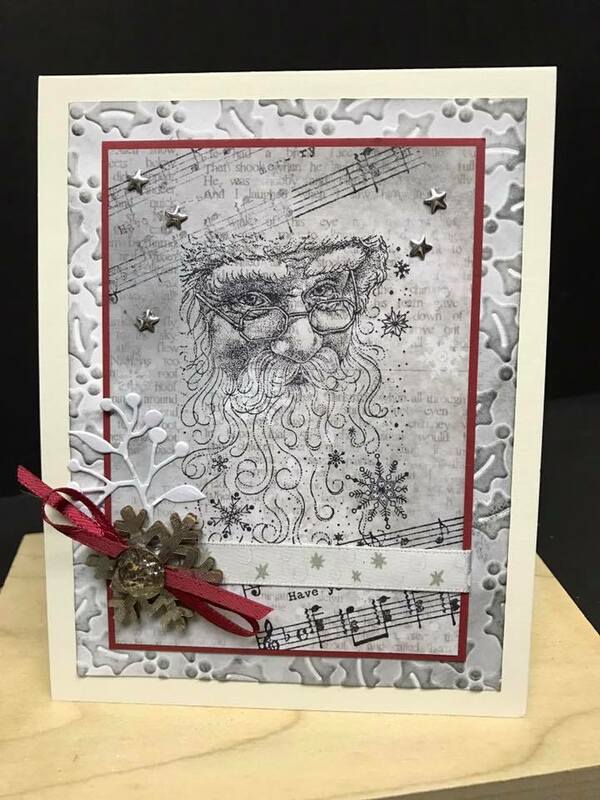 I drop cut the frame with the Santa Stamp, which made it nice to be able to use one piece to do all the frames, inside and out. 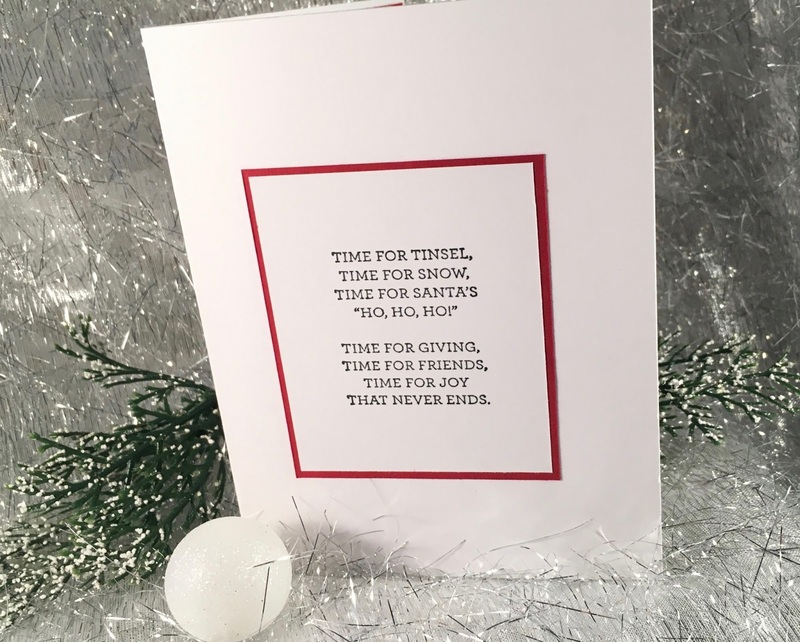 Then I set out to make 10 more. 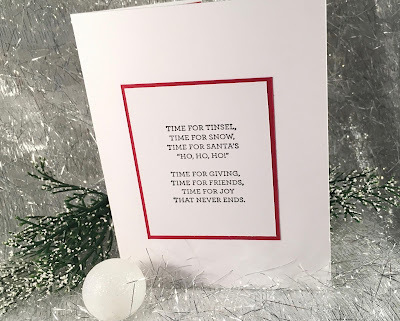 I love it when I can assemble cards quickly....especially at this time of the year. 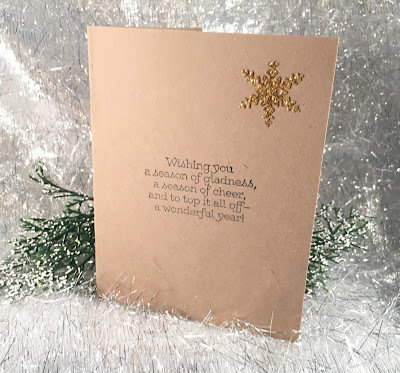 I kept the inside simple with room to write a bit of a note. 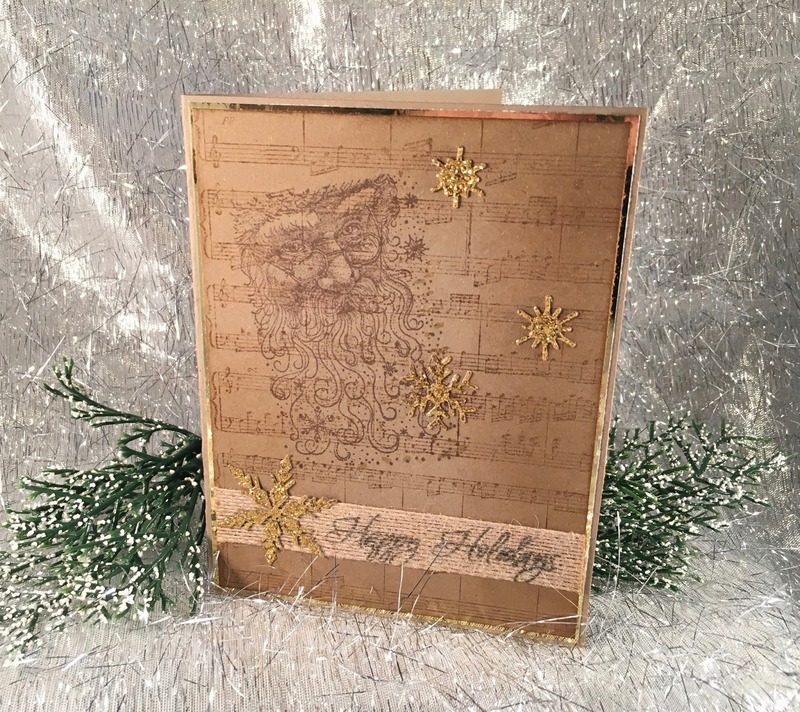 I also made one using craft card stock, but decided that the white one would be easier to duplicate. Thank you Sue Lesar Robinson for inspiring me to use this lovely stamp. Her two creations are beautiful.